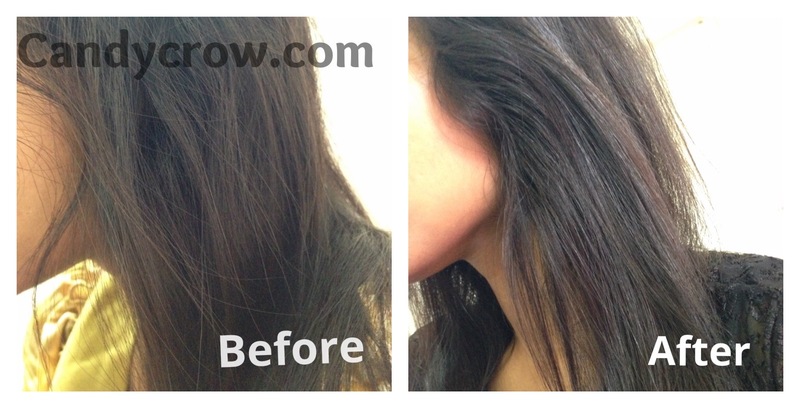 How to get Smooth and Silky Hair at Home? Most of us know that coconut oil does wonder to the hair but do you know that coconut milk which is used in many South Indian dishes can also work miracles on your mane. Coconut milk is a rich source of magnesium, it also has elements that promote hair growth, nourishes hair, prevent graying and acts as a conditioner. How to get soft & silk hair? Soft, shiny and silky hair can be yours with this simple coconut milk hair mask. This homemade mask also has the power to tame frizz and unruly curls. For this mask, I prefer using fresh extract than canned milk, but if it is hard to get fresh coconut at your place you can go for canned ones. Here is a sneak peek of my hair before and after coconut milk treatment. If you are wondering how to extract coconut milk, read on know how. 1. Take coconut pieces grind them in mixie for few seconds. 2. Add one cup of warm water to it and grind it until it becomes a smooth paste. 3. Strain the coconut paste, you can use a tea strainer for it. 4. Leave the coconut milk in the refrigerator overnight. 5. You can see that a thick cream of coconut milk has got collected at the top. Scoop it off. 6. Apply it to your hair and leave it for an hour. 7. Wash it off with a mild shampoo. TADA !!! Smooth, silky and soft hair is yours. If you have normal hair do this treatment once a week. If you have dry hair do this treatment twice a week. Dry hair beauties can add 1 tbsp of olive oil to this mask. If you are suffering from dandruff add 1 Tsp of lemon juice to this mask. Apply this mask in the morning if you have to attend a party or any special occasion in the evening. Frequent use of this mask will leave you with relaxed curls and give smoothening like effect. Avoid using hair dryer and harsh shampoo, you don't want to strip off the nourishing moisture left out by the mask.